Save valuable time with this extension that allows you to create walls instantly! This extension is automatically sent to you with your order confirmation; you can download it immediately. Build your walls with just a few clicks of the mouse ! 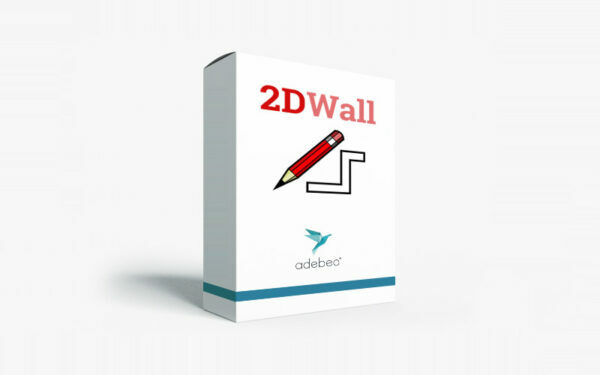 2DWall is an extension that will save you some precious time. 3 Indicate the direction of the wall by holding down the “Shift” key or with the arrow keys to lock the inferences. With the command “crtl” on PC or “alt” on Mac, choosing the position of the wall relative to its anchor has never been easier.